Beading Arts: Congratulations to Jan! Jan Vermillion-Thomason is the winner of the fabulous giveaway package from Mama's Minerals!! Yay for Jan! I am thrilled!! Thank you. 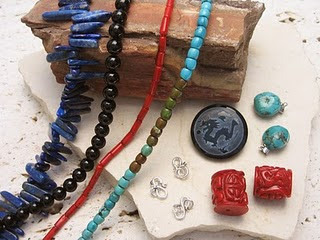 I am so excited to be the winner of such beautiful beads.